Maybelline Dream Cushion Fresh Face Liquid Foundation - A Sweet Dream or Beautiful Nightmare ? 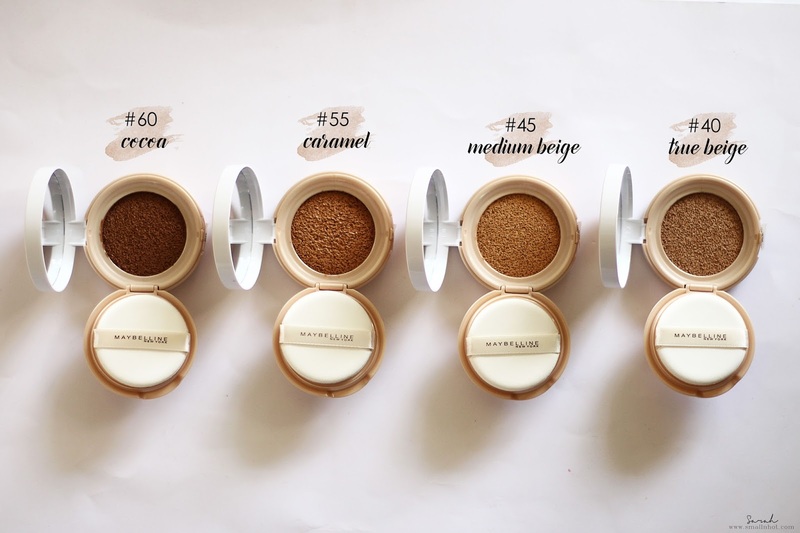 Maybelline New York recently launched a new base product for a natural on-the-go look, with their Dream makeup collection. This new BB cushion-like Dream Cushion Liquid Foundation is designed to give you a luminous coverage on the go. 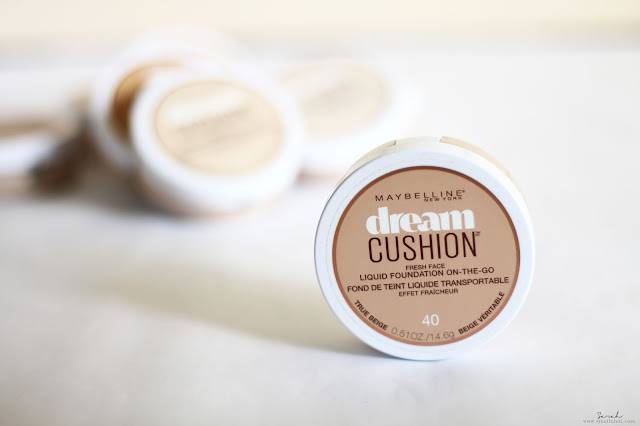 If you have been a fan of cushion foundations, read up to find out whether Maybelline Dream Cushion Fresh Face Liquid Foundation is as dreamy as they say it is? Maybelline New York Dream Cushion Fresh Face Liquid Foundation delivers complete luminous coverage for fresh-faced perfection. The ease of the puff applicator combined with the incredibly lightweight liquid foundation in 8 different shades melt onto skin creating a smooth, fresh glow in seconds. You'll LIKE it because the coverage is very buildable and comparatively quite long lasting. You'll HATE it for the puff and the fact that it's not refillable. 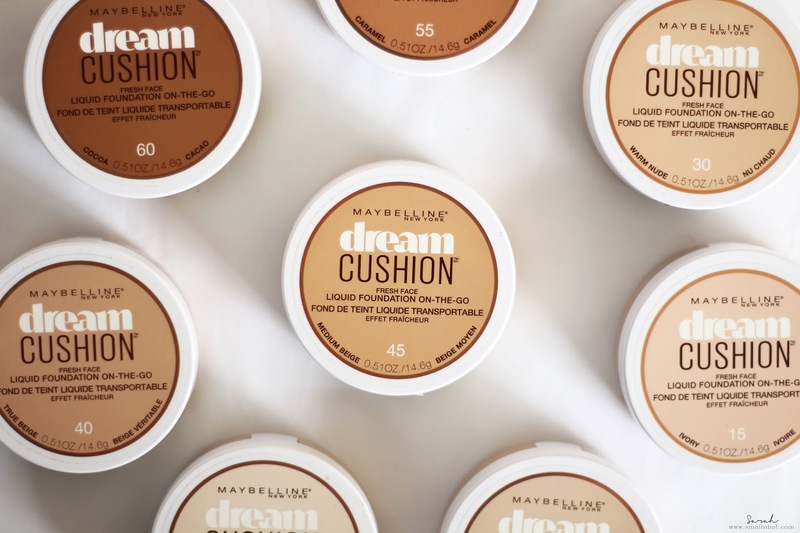 Maybelline New York Dream Cushion Liquid Foundation comes in 8 shades from Ivory light to Cocoa deep brown. If you notice, formula wise, it's quite similar to that of the Dream Matte Mousse foundation, minus the matte part and this is much more watery and dewy. This is also a very pigmented liquid foundation. If you need extra coverage, you can easily layer on top, creating a medium to high coverage. However, for that everyday no-makeup makeup look, two puffs of this will do, it's easy to blend and lasts all day. There's no detectable scent to it and it comes in a pretty light plastic casing and puff that you can bring it around in your handbag. The downside I have with this new cushion liquid foundation is, firstly, the design of the cushion where a lot of products was dispensed within a tap and that the sponge applicator is packed with excessive products, making the applicator rather messy during touch up. Secondly, if this runs out, you'll need to repurchase a whole new set including the casing and sponge because this new Dream Cushion Liquid Foundation is not refillable. 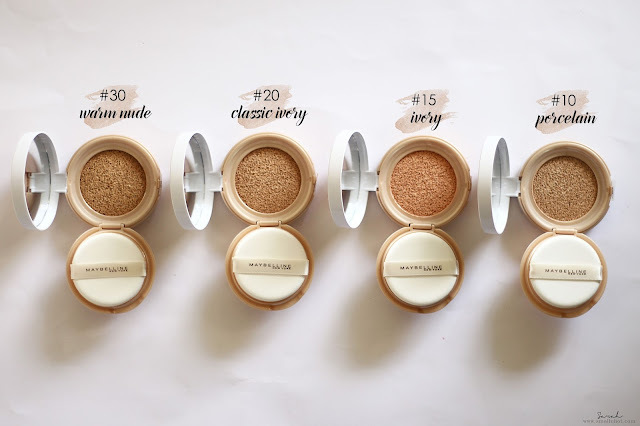 Finally, with that not refillable case design, this cushion foundation falls under the pricey category for a drugstore foundation. The question is, are you willing to pay $15.99 for a drugstore foundation that comes with just a limited "cushion" amount of product ?